Ringo Starr's 1972 Grammy Award(s) acceptance is really ultra cool if you ever happen to see it. They also won 1 Oscar for Let It Be. 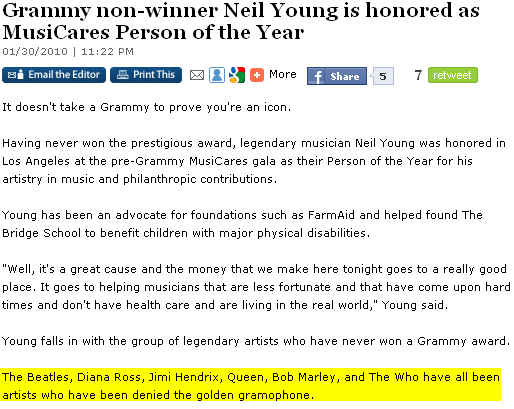 Neil Young not winning one is a crime. Has Rush ever won one? Ringo.....when he had all his marbles.